We are a local Indonesian holiday/vacation and tour package specialist started by Diana Pardamean. Diana started out as Dutch and English speaking tour guide for visitors from America and Europe. As there were many Dutch guests from the Netherlands who were looking for tailor-made holidays and destinations to visit places of nostalgia, culture, and history of Indonesia and Sumatra which other standard tours didn’t offer, Tri Jaya was established to bring guests via private custom travel packages to their special places of interest. We have a wide choice of travel destinations, in which you can personally customize. 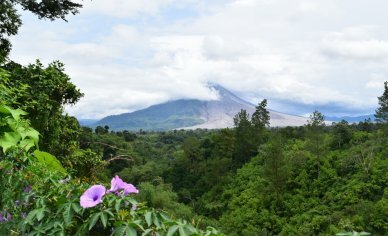 With over 25 years of experience in tourism and tours in Indonesia, we have created unique and exciting and memorable custom tours to give you the most amazing Indonesian holiday and vacations. Designed by locals hosted by locals we invite you to travel and explore cultural and exotic destinations in Sumatra, take an adventurous jungle trek that will take you to the Orangutans of Sumatra or our historical cultural tours throughout Sumatra and Indonesia or simply create your own custom travel holiday with us. If you need help, advice or assistance? You can always reach us via our live chat service below or simply contact us anytime. Tri Jaya Tour & Travel, Sumatra Travel specialists, is an accredited Indonesian tour operator, based in Medan. We employ highly trained local staff, and we aim to contribute to the economic assistance of the developing area of North Sumatra. Our mission is to help people from all over the world discover the beauty of Indonesia. Tri Jaya Tour & Travel, the Sumatra travel expert, is specialized in tours all over Sumatra and in Cultural and Historical Indonesia tours. We will take you to the most beautiful places on Sumatra, such as Lake Toba, impressive West Sumatra, the Orangutan Sanctuary in Bohorok/Bukit Lawang, the Elephant Sanctuary in Tangkahan, the unspoiled rainforest in Kerinci and Ketambe and white sandy beaches on the coast. 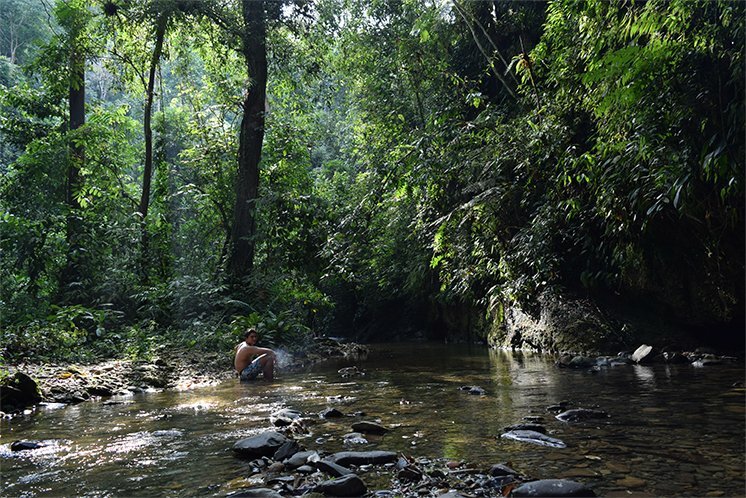 Bohorok / Bukit Lawang is located at the edge of the Gunung Leuser National Park in North Sumatra, home of the critically endangered Orangutans. One of the ways to help conserve the Leuser national park is through sustainable tourism, as this provides economic incentives for the local population and government to conserve our magnificent rain forest for our well-being, and ensure the survival of the wildlife.We can organize a fascinating Sumatra adventure tour for you with jungle trekking, Orangutan spotting and volcano climbing, all customized according to your wishes. Searching for places from the past? Tri Jaya organizes special tours to the places of memories from your past or the past of your parents or grandparents. Do you want to visit specific locations, such as villages, houses, plantations, schools, hospitals or former Japanese camps? Tri Jaya Tour & Travel is experienced with many guests who are ‘in search of the past’. We organize custom tours to the places of your personal history. Historical and Cultural – Tours on Sumatra and in Indonesia We would like to introduce you to the places of historical interest, architecture and the intriguing culture of Indonesia on Sumatra. For those people with personal memories of Sumatra and for everybody who is curious what still can be found of Sumatra’s history, we arrange custom cultural tours and architectural tours to the Malay, Batak, and Minangkabau tribes, as well as tours about the colonial history on Sumatra. 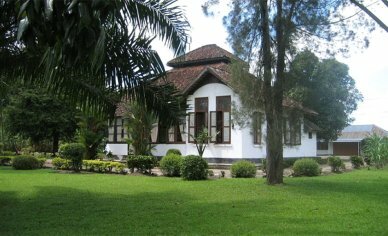 The colonial history can still be found on plantations, in company buildings and colonial houses. It is the unknown side of Sumatra. We will disclose Sumatra’s history and bring you there. Do you have any questions? Please feel free to send us a message via our Live Chat Below. Tri Jaya has many guests who are ‘in search of the past’, including to locations of former Japanese camps on the Indonesia travel tour. For those people who are looking for the places of their youth, or their parents or grandparents, we organize special individual ‘nostalgia’ tours.